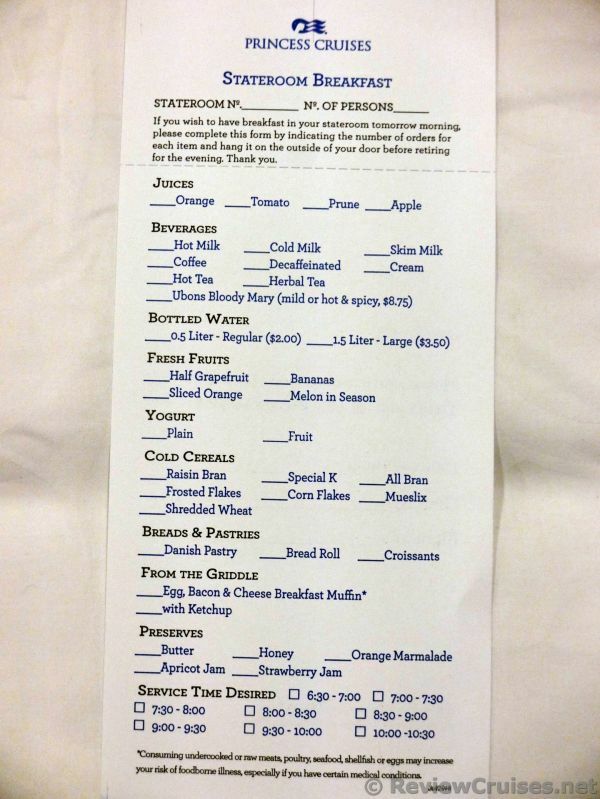 This was the Princess Cruises in-cabin breakfast delivery menu we saw from our cruise aboard the Ruby Princess in 2016. For many who don't want to deal with the throng of fellow cruise passengers at the buffet for breakfast, this is a very good alternative. Some highlights include Ubons Bloody Mary (costs $8.75 extra), sliced orange, and a breakfast sandwich with Egg, Bacon, & Cheese. They even have prune juice. The delivery time frame to your stateroom is in 30 minute windows, starting from 6:30 AM and ends at 10:30 AM. 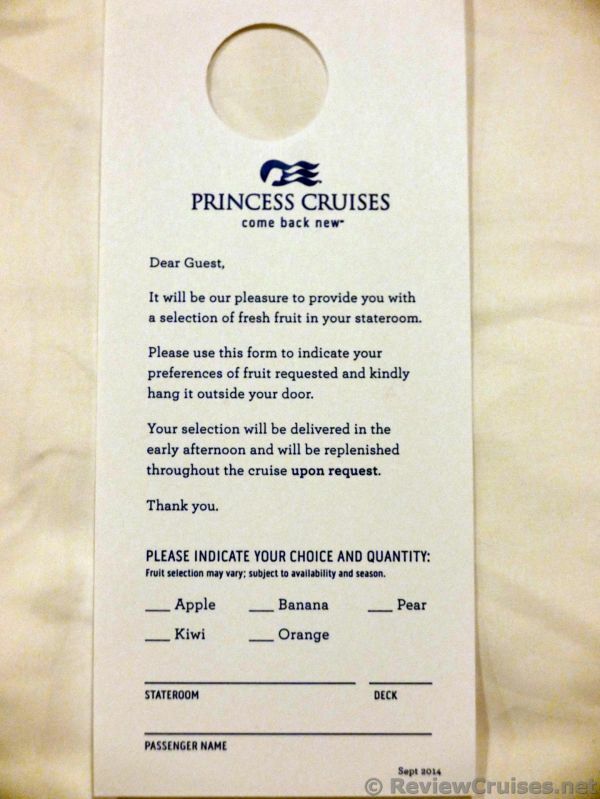 This service is complimentary, though you would typically tip the crew member bringing you the food to your room. We also noticed Princess selling bottled water inside the cabin. The prices are the same as room service. You get 500 ml natural spring water for $2, or triple the size for $3.50 at 1.5 liter. 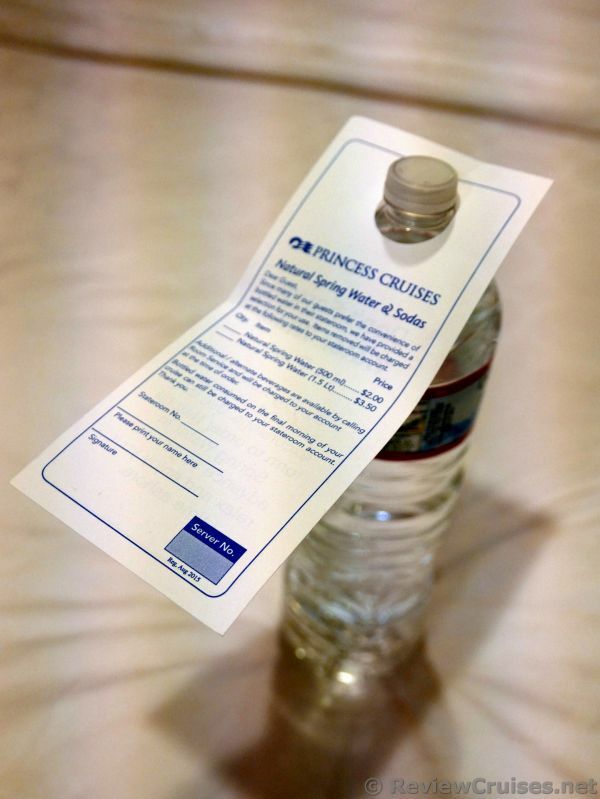 Normally we bring our own water filter pitcher & refillable water bottles onboard, but if you are not inclined to do that that this is certain a choice.